A blog about books and the people who write them. With the western winter holidays behind us, we now look forward to the Chinese New Year. 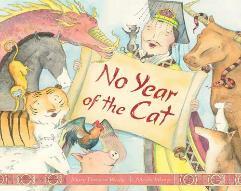 In early celebration of this auspicious event, Mary Dodson Wade has just released her new picture book, No Year of the Cat. The charming picture book is a retelling of the Chinese legend that explains why there is no cat in the Chinese zodiac. Recently Mary and I chatted about her writing, her influences and her advice to debutante writers. Where did you grow-up and where do you live now? I grew up in a small town in south Arkansas with one of those Mayberry-like childhoods. It could not have been better – stable home, loving parents who were respected in the community, opportunity to play outside with other kids with no fear of anything bad happening. Everybody in town knew everybody else, and if you got in trouble, your parents knew before you got home. Churches were on every corner. Although it was the Depression, the discovery of oil a few years before my father became superintendent of schools provided money for good schools – I took Latin in high school, and my mother taught Chemistry and Physics. After getting my bachelor’s degree from Baylor University, major in English and minors in history and education, I taught a few years before getting married to Harold Wade. We spent 5 years in Cleveland, Ohio, before he took a job in Sharon, Massachusetts. I worked as an elementary librarian both places. We moved to Houston, Texas – Harold is a Texan after all, and we have lived here ever since. My last ten years as elementary librarian were in Fort Bend ISD. I had three published books when I retired and began to write full time. Harold’s career has taken him across the globe, and I have been fortunate to accompany him many of the times. What is a normal “writing” workday like for you? I have no normal “writing” day. I find it hard to sit for very long. I usually do something, perhaps as mundane as laundry, before I sit down to write, which may not come until evening. But even while doing that another activity; I may be rummaging around in my mind to work out something related to the current writing project – a turn of phrase, an elusive title, some logical action needed for the story. And I am always on the lookout for an interesting story I run across in whatever I’m reading. 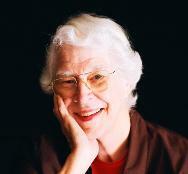 In addition to being a successful author, you also worked for many years as a librarian. How did your “day job” influence your writing? The experience of being in the school library has proved invaluable to me as a writer. I wrote several of my Texas biographies because I knew that material was not available on the level my students would enjoy. In addition I learned about many things I would not have been acquainted with if the teacher had not assigned that subject or the student hadn’t had an interesting in knowing about it. Who are your favorite writers and why? My reading preferences run to no specific author, although I confess to being a John Grisham fan and I adore Ellis Peters’ Brother Cadfael series. Oh that I could create characters and a sense of place as Peters does! My favorite reading is first-hand accounts of historical events, treasures tucked away in special libraries and museums. They add incredible detail and poignancy to a story, never mind the ability to supply tension and drama for fiction plot lines. For writers who are just starting, I repeat the well-known – there is no substitute for reading the genre you are writing, lots and lots and lots of them. A pattern of length, level of language no matter how different the books themselves, will emerge. In that respect, my experience as a librarian has been invaluable. A library card is indispensible to any writer! Also invaluable is a connection with other writers. For me, the Society of Children’s Book Writers and Illustrators has been the organization that has helped me more than anything else in my journey as a writer. Fellow writers not only celebrate victories with you, they help you persevere when inspiration seems to vanish and inevitable rejections come. And a cautionary tale for any writer – read the work out loud before submitting. I usually do that, but with my newest, No Year of the Cat, (Sleeping Bear Press, 2013) I changed some sentences at the last minute and didn’t read them aloud until I was doing a Power Point presentation of the art. As I prepared for the event, I kept tripping over three sentences on the second page. I actually had to practice reading my own work because I had gotten carried away with words on the page and not on the tongue! Mary’s books are all available for purchase online or at your local bookstore. Be sure to check-out Mary’s website www.marydwade.com for even more information about Mary and her wonderful books.